The second day of the Duke and Duchess of Cambridge's visit to Paris has begun, and we've got some new jewelry pieces to enjoy. 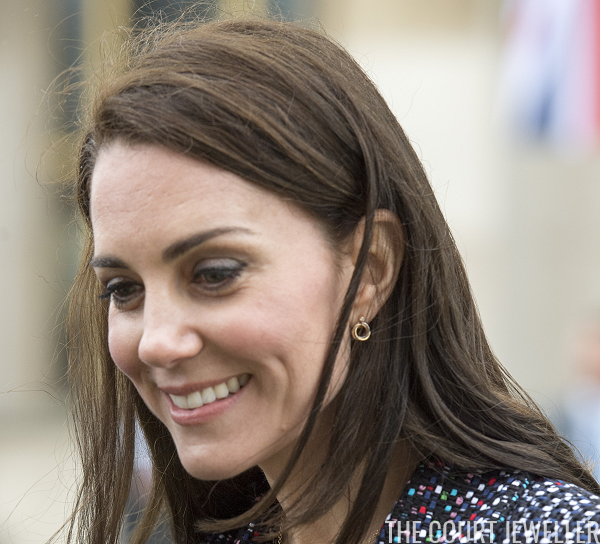 Stay tuned to this post all day for updates on Kate's jewels during day two! 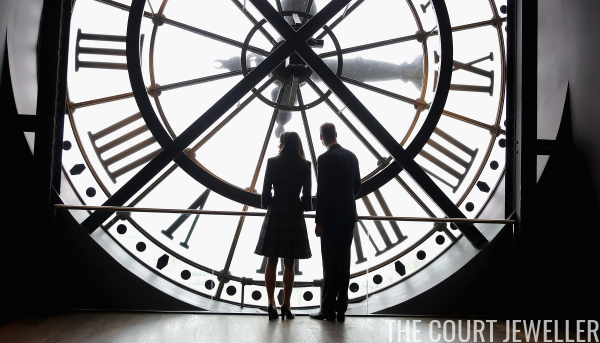 William and Kate began their second day in Paris with visits to some of the city's most famous landmarks, including the Eiffel Tower and the Musee d'Orsay. They also met with survivors of the Bataclan attacks. 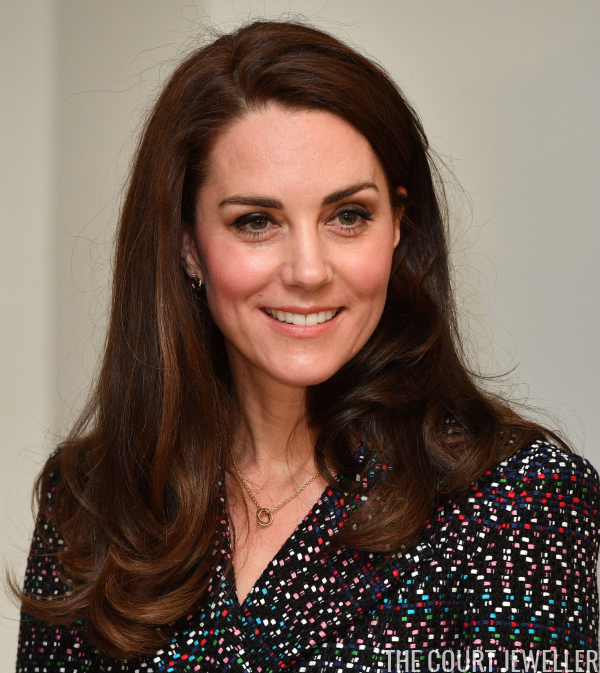 Kate wore two iconic French brands for the morning engagements: Chanel and Cartier. 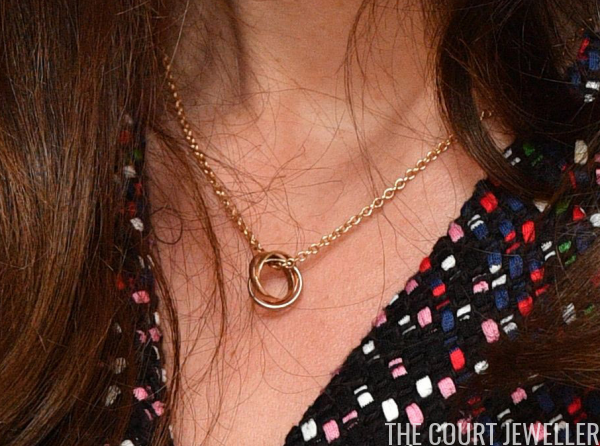 Her earrings and necklace are both from Cartier's classic Trinity collection. She also has larger, gem-encrusted items from the line, which you can read about over here. 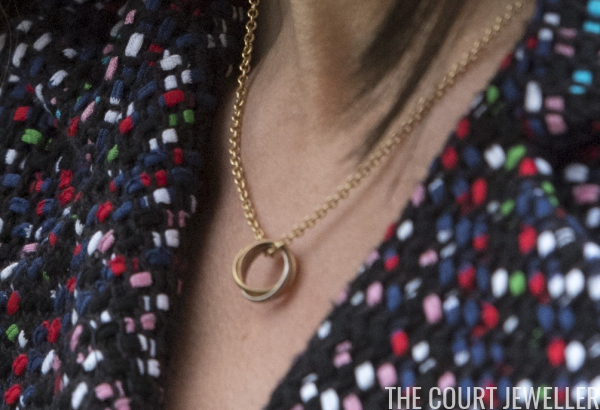 Here's a closer look at the small Trinity necklace, featuring the line's signature interlocking rings in mixed metals. Another angle on the necklace. And here's a better look at the earrings, which feature the interlocking Trinity rings suspended from a gem-set stud. 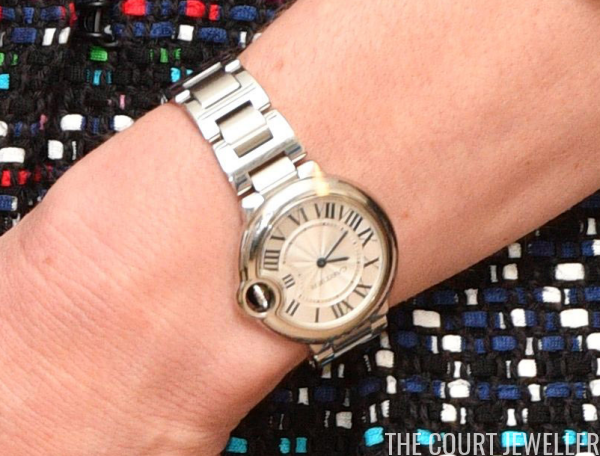 Kate's watch, the Ballon Bleu model, is also by Cartier. The final engagement of the Cambridge's quick Parisian visit was a trip to the Stade de France, where they watched the RBS Six Nations match between France and Wales. 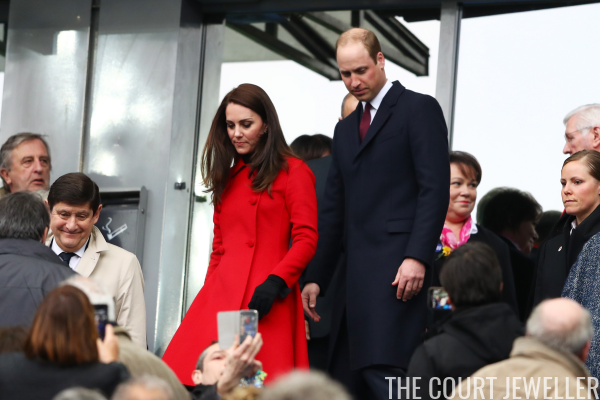 Kate changed into a bright red Carolina Herrera coat to support Wales, but she didn't change her jewelry. Her only visible accessories were the Cartier Trinity earrings that she wore earlier in the day. William and Kate headed back to London at the end of the match.